As one of the new weigela varieties, the Dark Horse makes an interesting addition for gardeners seeking unusual foliage colors and showy flowers. Its dark bronze leaves and pinkish-red flowers work well in gardens and landscapes that have small spaces to fill. Dark Horse weigela also works well as a low hedge for borders or in rock gardens. Native to Japan, Korea and Northern China, weigela is a rounded perennial shrub that typically grows to 8 feet in height. More than 180 cultivars are now available in the United States, with leaves varying in color from green and purple to almost black with red or pink flowers. Weigela Dark Horse is a relatively new cultivar that features a compact habit with beautiful flowers that strongly contrast with the plant’s dark leaves. Dark Horse is a dense, compact deciduous shrub that loses its leaves each fall after putting on a colorful autumn display. Growing to just 3 feet tall and wide, the plant sports dark leaves in shades of purple and bronze with green veins. In mid- to late spring, a profusion of 1- to 1 1/2-inch, funnel-shaped, deep pink--almost red--flowers bloom on branches of the previous year’s growth. Later in the summer, blooms occur on the new growth too. This low-maintenance plant thrives in full sun in well-drained soil in USDA hardiness zones 4 to 8. Dark Horse also grows in light shade, but to grow a profusion of flowers, it needs as much sun as possible. The plant requires regular watering, especially in hot, dry conditions. Dark Horse needs to be pruned after flowering has finished. 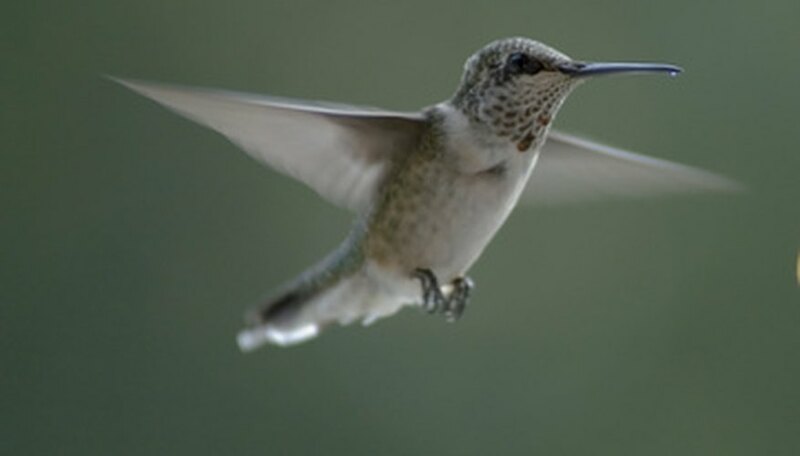 Hummingbirds find the flowers of the Dark Horse a good food source. The blooms also attract butterflies, bees and other birds. This weigela variety does not produce seeds, so it does not provide a valuable food source for small mammals or seed-eating birds. Dark Horse wegelia works well in beds beneath conifers and evergreens, thanks to its contrasting foliage and flowers. While Dark Horse works well as a single specimen, the plants also are effective when several are planted close together to form a low-lying hedge along fence lines or borders. This plant also beautifies rock gardens, where its cascading flowers create a focal point.